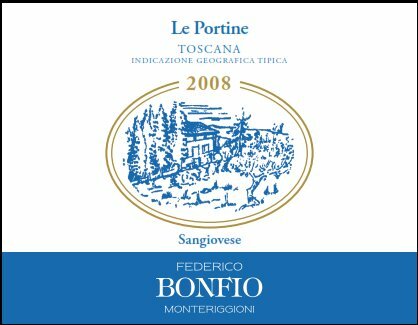 Tenuta Poggiolo now known as Bonfio is an estate located in the heart of Chianti Colli Senesi. The vineyard Le Portine is one of several vineyards belonging to the estate that totals 230 hectares. The different vineyards have their own microclimates, and special care is given to the processing of the grapes to make wines which express the subtle differences of the four vineyards. 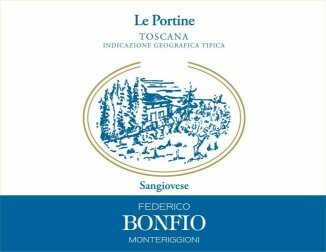 Our wine, Le Portine, is named after the portals in the 14 towers surrounding the ancient walled city of Monteriggione, where time seems to have remained in the 13th century. 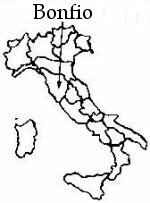 Tasting Notes: Le Portine is made of Sangiovese, and has a ruby red color with garnet reflections. In the nose it presents a composite bouquet, slightly ethereal and soft, along with hints of plum. The taste is harmonious with great structure, the aftertaste is long and persistent with soft and lingering tannins. Vinification Technique: Fermentation in stainless steel at a controlled temperature for 10 days. Maturation: Aged in large Slovenian oak casts for at least 2 years before resting in bottles for at least 3 to 6 months.